Love the outfit!!! 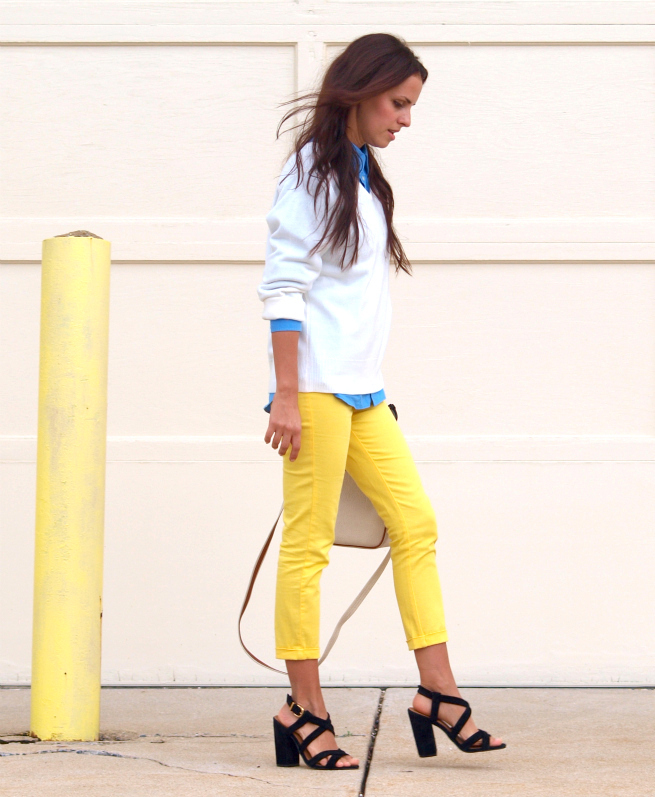 Such an amazing pair of pants, the yellow + blue combo works really well! Lovely, beautiful and fresh look! yellow always makes me happy! love your shoes! WOow AND there is a lot of “Trendy Freshness” in such (very well worn) bunch of colors, by far more soft § subtle than show off I must add Dear !!! Que buen outfit! me encanta!!!! love it dear! its great for these first days of autumn! your hair looks beautiful! Side note: I love all of the accessories on one side a lot! What a great combination, the blue and the yellow. I really like your look! Take a look at my blog, and if you like it, follow me, I’ll be waiting for you! OMG! You just blew me away beautiful! Nicely done! p.s are you on twitter? I love your outfit. 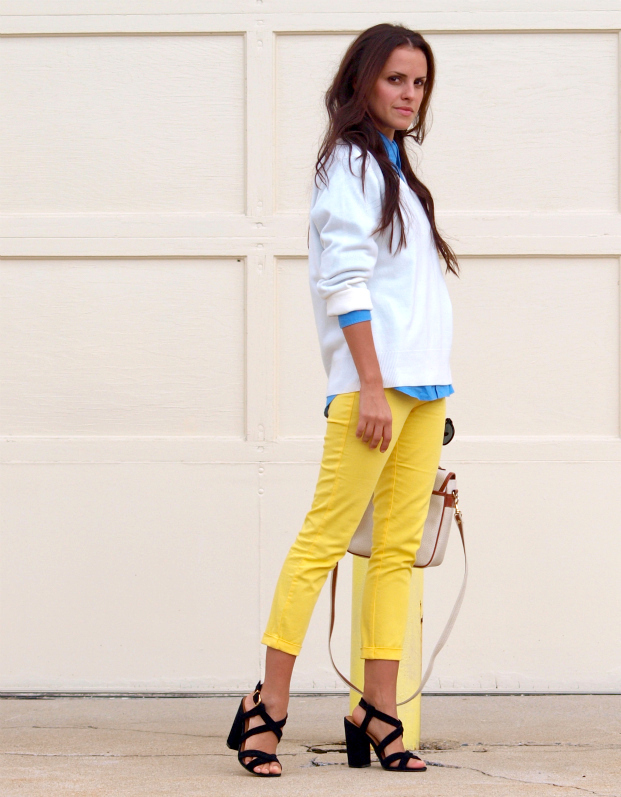 The yellow pants are amazing and I need that DB bag. Hello there dear! Do you work with fashion? You are so elegant, classic and criative that makes me think you work with fashion!!! Congrats, again, for your amazing sense of style!! ps. : sorry for my english! @Cri thank you for your appreciation, I don’t work with fashion is just the way I like to dress myself and play with colors. Your English is very good! @Vanja I am happy to see you back!!!!! Thank you very much guys for the beautiful comments! Lovely mix of colours… I´m dying by your bag! Hello..i love Pants yellow zara !! kiss!! i saw you and i had to think of kristen steward! So thats a big compliment! Great outfit! Def inspo for when i arrive in Rio de Janeiro. Super nice blog! these colors are great together, and your pictures are so nice. lovely blog! Love those yellow pants and you have GREAT hair. Super cute!!!!! 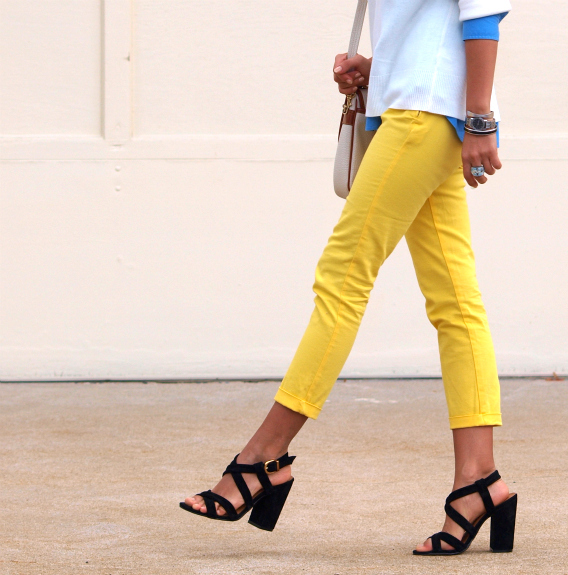 We are really loving the yellow pant this season! Adorable on you! those yellow pants are amazing!! You’re such a vision in brights. Absolutely stunning. I wanted to ask you if you have your own Facebook page about this blog? Love the pics of you without shades (again), you’re gorgeous. I like how you fitted shirt with a sweater, you beautiful girl ;)! I love your shoes! they’re so lovely! @Ulrika thank you and kisses back ! @Marina Mary: I don’t have yet a Facebook page about this blog ..in the future . @Thank you Borjana, me too! Thank you very much for all the comments and for your visit on my blog ! wooow so cute! love your pants! These colors are amazing together. The outfit is definitely eye-catching. hey cutie, this look is so nice! i love colours like yellow. i’ve posted a yellow look a while ago, you can see it on the right side “most popular posts”. i wish you a wonderful day with lots of love! Just found your blog from a feature on Fashionbyhe…and I LOVE LOVE LOVE your sytle! Amazing! such a gorgeous color combo! i just posted about pink pants a week or so ago but now i’ll have to keep an eye out for yellow as well!